A young couple sets out to build a life together in an unstable world haunted by monsters, plagued by disasters, full of longing--but also one of transformation, wonder, and delight, peopled by the likes of Noah, Bob Dylan, the Virgin Mary, and Anne Frank. Hovering between reality and fantasy, whimsy and darkness, these linked fables describe a universe both surreal and familiar. Helen Phillips received a 2009 Rona Jaffe Writer's Award, 2009 Meridian Editors' Prize, and 2008 Italo Calvino Fabulist Fiction Prize. Her work has appeared in many literary journals and two anthologies. She holds degrees from Yale University and Brooklyn College, and teaches creative writing at Brooklyn College. 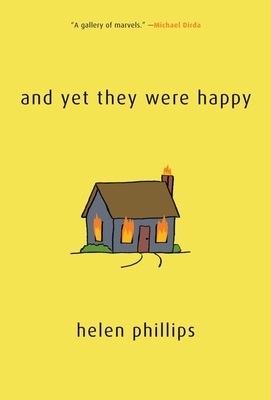 Helen Phillips received a 2009 Rona Jaffe Writer's Award, the 2009 Meridian Editors' Prize, and the 2008 Italo Calvino Fabulist Fiction Prize. Her work has appeared in "Mississippi Review" and "Salt Hill Journal, " among others, and in the anthologies "American Fiction: The Best Previously Unpublished Short Stories by Emerging Authors" and "The Hotel St. George Infinitely Expanding Library of New Fabulist Fiction." Helen is a graduate of Yale and Brooklyn College's MFA programs. She teaches creative writing at Brooklyn College.